One of my favorite parts of being a photographer is meeting new people and creating sessions and photographs to capture them and their story. Jamie and Dan are the sweetest, most adorable couple and I am so honored to be able to document this special time in their lives while they wait for their son’s arrival. Jamie said on her questionnaire that she is not a flower child and the more earthy maternity photos isn’t really her style. 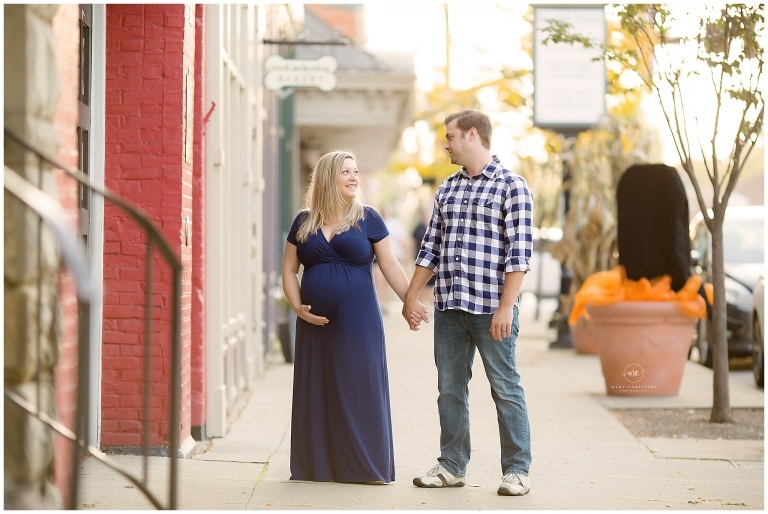 She loves a more modern look and wanted a casual, more urban setting for their couple maternity photos. Sign me up! I love a good change of scenery, and what better location that my hometown and theirs, than Medina, Ohio! Our quaint square has plenty of awesome locations! It isn’t my usual spot, as I don’t get many requests for it, but it was just so much fun. The bricks, the ivory, even the scarecrows that the local business have put out for fall just give the whole session a fun, nostalgic feel. Our little town has the quintessential midwestern feel, and the people here make it feel like home. I loved getting to know Jamie and Dan during our time together. They are so easy going- I’m positive they will be amazing parents and I cannot wait to meet this guy in a few more weeks. Watching families and babies grow is such an amazing experience, no matter how many times I witness it, it really is an amazing thing! 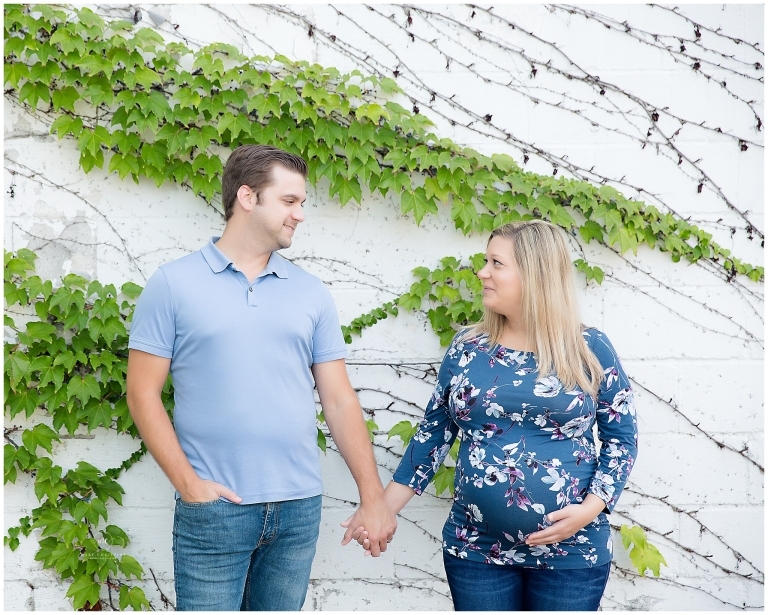 Even though we did almost all couple maternity photos, a good up close belly bump is always a must for maternity sessions. My girls love seeing what they looked like inside my belly and I am sure this little guy will too! Thank you SO much for stopping by the blog! 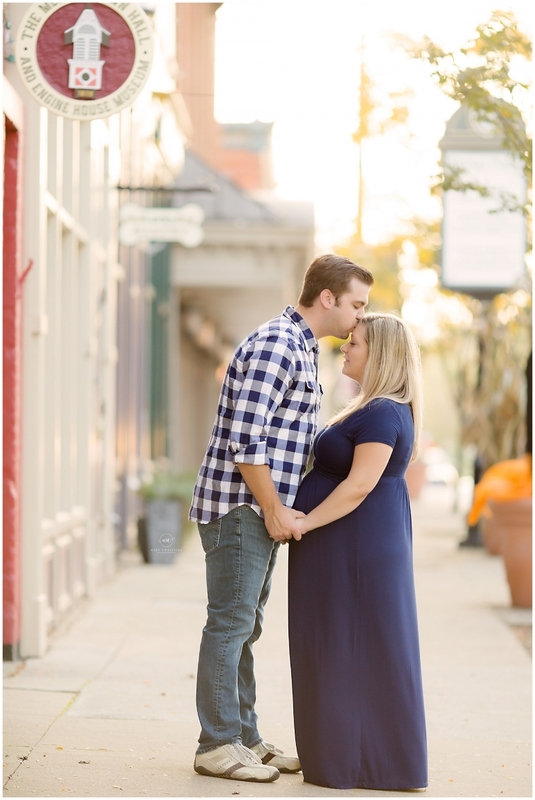 Are you expecting soon and are considering a maternity session? Please check out another maternity session on the blog to see my style suits yours. If so, I’d love to hear from you soon!